World’s first art gallery on the Moon, featuring over 50 artists in a fully immersive 3D environment. Made by Curat10n using the latest interactive technology. 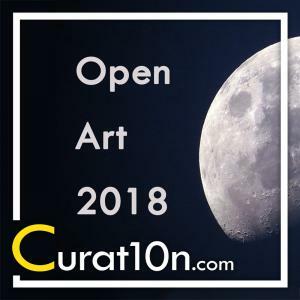 LONDON, UK, September 20, 2018 /EINPresswire.com/ — The Open Art Exhibition takes place in a virtual gallery on the surface of the Moon. It offers viewers the chance to explore a fine selection of artwork and photography within the walls and gardens of the “Tranquillity Base Art Gallery” – an imaginary arts complex built into the lunar rock. It features futuristic architectural design, spectacular landscaping and breath-taking scenery, including a view of our very own planet Earth. Artists, art-lovers and tech enthusiasts can take a small step into the future of the arts industry by experiencing this interactive application first-hand. They will also be taking a giant leap towards improving access to art, opportunities for artists, and promoting diversity in the arts industry. Virtual exhibitions can overcome many of the problems faced by artists and art lovers by providing a high-quality, cost-effective platform for sharing, promoting and selling artwork. They also open up a new world of art to anyone with a computer, anywhere in the world. The Open Art 2018 virtual gallery features more than 50 artists from around the UK and the rest of the world. It showcases a diverse selection of fine art and photographic images in a gallery space that is literally out of this world! The Tranquillity Base Art Gallery is home to a 4-storey gallery building with panoramic views of the surrounding crater and mountains. As you step outside you are free to follow your own path through the rocky trenches and quarries that have been dug into the Moon’s crust. Delve into over 150 artworks on display and find out more about the artistic pioneers taking part in this ground-breaking show. The Open Art project gives emerging artists the opportunity to be part of an interactive virtual exhibition. This year’s edition builds on the success of the 2017 edition by adding new interactive features such as artist profiles and e-commerce integration, which makes purchasing artwork just a click away. It has also taken immersive design and visual quality to another level with the use of high-res textures, multimedia video projections and 3d sound design. Creating a virtual space is a work of art in itself. There is no need to worry about engineering, material costs or logistics when building a virtual gallery, so why not shoot for the stars! Curators, dealers, artists and gallery owners can unleash their creativity and present artwork in a way that won’t be easily forgotten – especially as the exhibition never needs to be taken down and it can be easily shared with viewers, buyers and collectors worldwide. 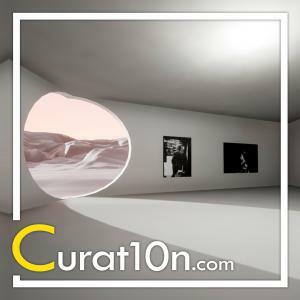 Curat10n will be releasing this virtual gallery as a downloadable app for PC and Mac, allowing people around the world to experience this interactive visual experience on their own computer. So put on your (virtual) space suit and get ready to explore the Tranquillity Base Art Gallery. It offers a fully immersive experience with the freedom to move through the 3d environment in real-time, using cutting-edge technology from the video games industry. On 10th October Curat10n will reveal this interactive art exhibition for the first time – and give their audience a chance to explore it hands-on. There will also be opportunities for artists to take the idea further and to be part of the next step in this exciting development. This event takes place in the heart of London's creative tech industry near Old Street. It will be a chance to meet the artists involved in this exciting project and to network with people who are helping to shape the future of arts in the UK. This event has proved to be extremely popular, with over 100 tickets being snapped up in just 3 days. Curat10n have therefore organised a second event, taking place on 21st November. Artists and guests at the October event will be able to download the virtual gallery to their PC or Mac when they get home – and will play a part in testing the virtual gallery app. Their feedback will then be used to make minor changes before its public release in November. 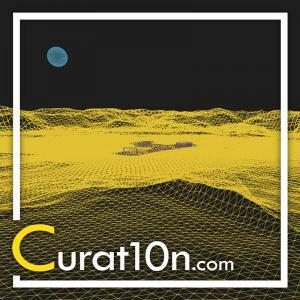 Curat10n is creating a mini-revolution in exhibiting, visualising, archiving and accessing art. They develop interactive and immersive arts applications using 3D technology – because they believe that every artist, curator and gallery should have the opportunity to show and share their work, without limiting their creative vision or reach. Art-lovers and collectors around the world should be given the chance to see and buy a diverse selection of artworks through an interactive and inspiring virtual space. Curat10n’s gallery applications can be used to plan or curate future exhibitions, using accurate recreations of real-world gallery spaces. They can also be used to create videos, renderings and promotional content quickly, easily and cost-effectively. Not to mention their unparalleled ability to present rich and informative content about artists and their work. These applications can also be developed for mobile devices and VR, and can be integrated with an online sales platform or e-commerce site. If you would like to find out more about Curat10n’s virtual galleries or about the Open Art exhibition, you can call or write to our press contact. We are a small company doing big things – and we want to share our story! We can arrange a face-to-face or online interview and can provide images or videos for use in articles and publications. Please contact us for further information or if you would like to see an interactive demonstration – wherever you are in the world. The Open Art 2018 Exhibition is developed and presented by Curat10n. Curat10n – Immersive Innovation Ltd.
Open Art Exhibition 2017: See last year’s virtual gallery, and expect more this year!